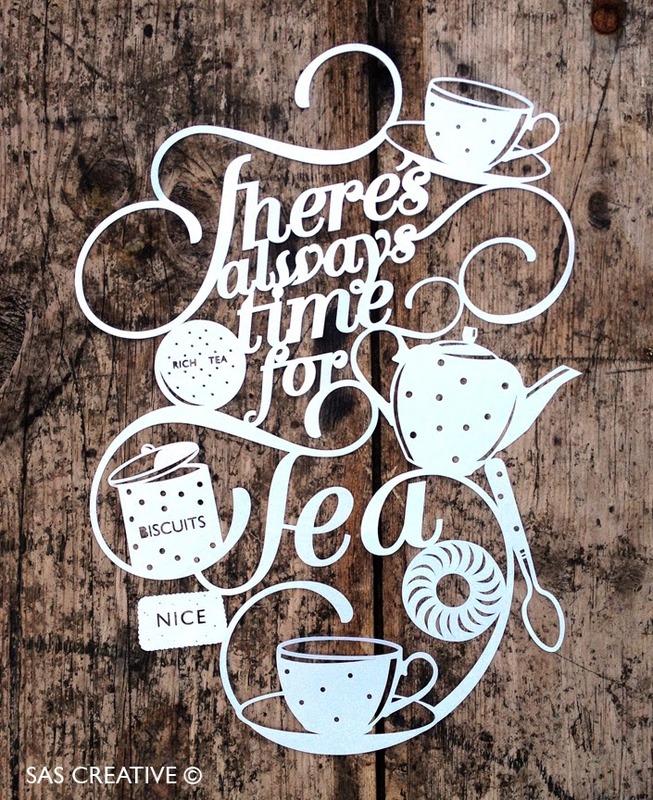 SAS Creative: There's always time for tea! This is my first attempt so with a few alterations it will be available to purchase soon, and yes it will be available as a template too. I have plenty other designs up my sleeve and will release a free one soon! I've also been asked a few times to blog about cutting techniques so I will take some photos and create a blog post about my methods soon. 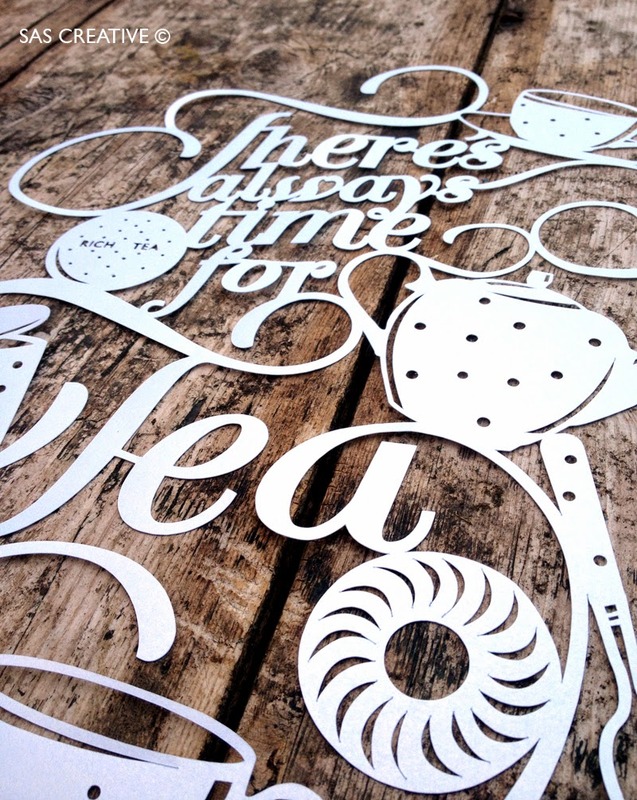 I have two ways I cut my paper, one obviously by hand with a Swan Morton scalpel, (10a and 11 blades! ), but mainly by machine. 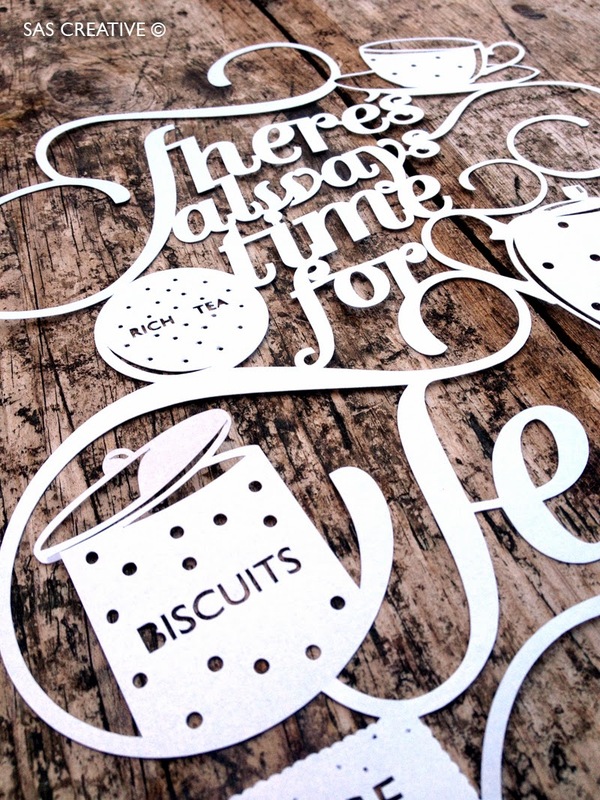 I have the Cameo Silhouette and use .svg files created from Adobe illustrator, so if people are interested in downloading these files too instead of a pdf to cut by hand then drop me an email (samantha@sascreative.co.uk) and I might think about adding them to my shop! So here are them pictures of my latest creation!